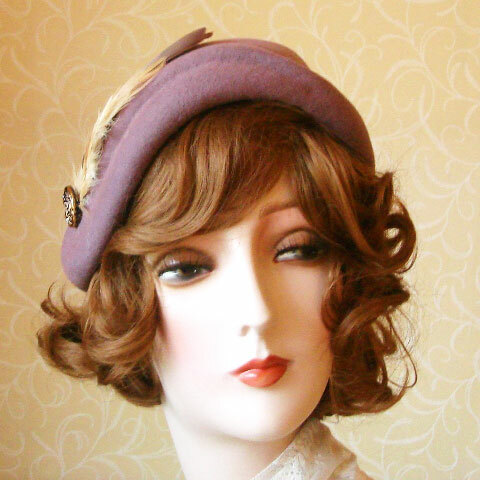 This is an adorable little heather felt hat, made on a vintage block, possibly 40’s/50’s. 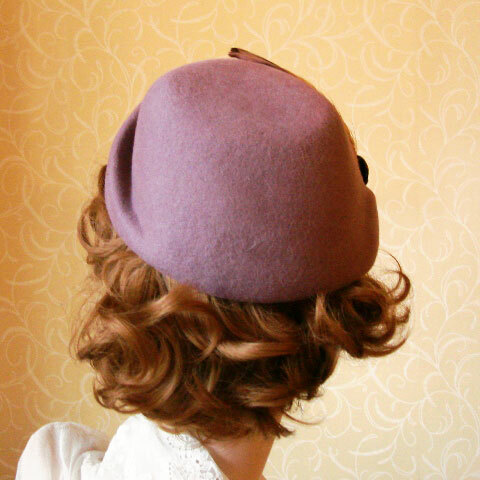 It is wool felt in a soft muted heather shade, with lots of lovely detail at the front. 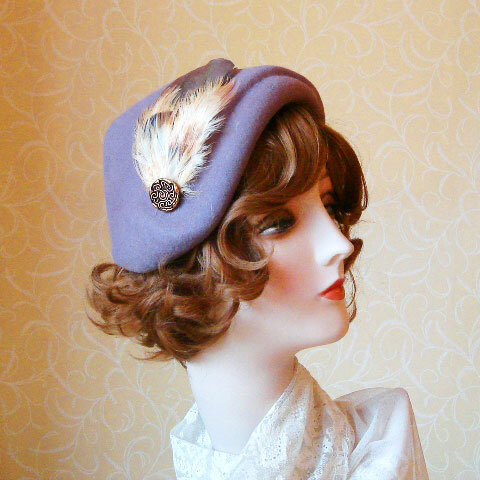 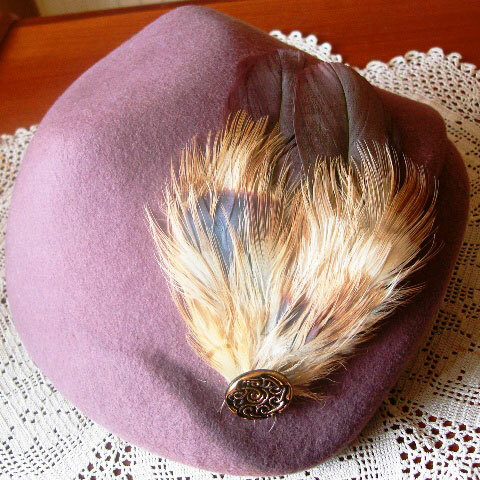 Embellished with a French vintage feather pad and vintage button. 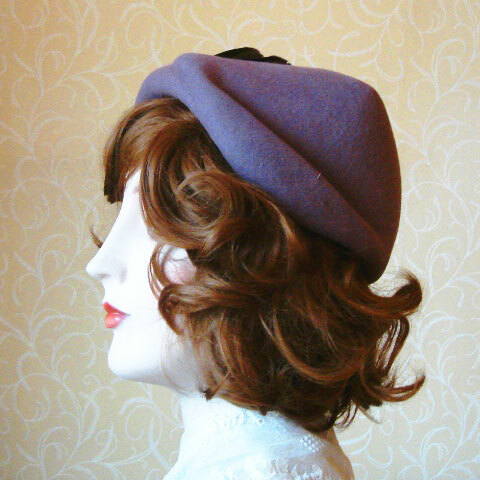 This heather felt hat will fit any size, and for extra security, has 2 combs fitted.